The key to having phenomenal workouts is definitely not an overpriced and non-effective “pre-workout” powder. The worst feeling in training is to train hard and frequently but see an absolute lack of changes to your physique. Obviously, a person who slacks on their workouts, who is inconsistent, and who constantly blames everything else for their lack of progress will never get anywhere when it comes to being fit and healthy. But when you are performing tough workouts and you are consistent, your body should respond favorably. For many folks, however, this is not the case. Training is only one-third of the battle. Recovery takes up another third and nutrition makes up the rest. Whether you are trying to build muscle mass or drop unwanted body fat, your nutrition matters. If your nutrition is lackluster then your results will also be lackluster. It is not just about eating “healthy.” It is about the quality and quantity of food you consume at a given time. For anyone who trains the most important meals of your day are the pre and post-workout meal. They give you the ability to have great workouts and recover properly from those workouts. I have known people who show up to train with zero food in the system. The result is predictable: an extremely uninspiring training session usually ending in a bout of lightheadedness. When you skimp on these meals, you can kiss that goal of building your dream body goodbye. Being stuck in neutral is not a good place to be. 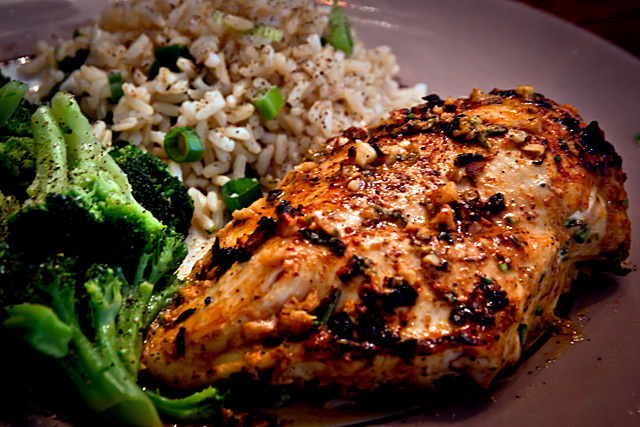 The pre-workout meal has so much value as it sets the tone for the upcoming training session. Without the proper fuel to use for training, your body simply cannot perform at an optimal level. These are some of the options that I use daily. The amount of food you eat will vary based on your metabolic rate and whether your goals are athletic performance, fat loss, or muscle growth. I had horrendous pre-workout meal etiquette in college and at the very beginning of my career in fitness. My performance and physique suffered and I looked like a human scarecrow! Once I put an emphasis on proper pre-workout nutrition, I have never had a bad workout due to lame meal preparation. My physique and my performance have also seen continual progress over the years. This is why the pre-workout meal is the most important meal of your day if you are training on that day. For most people eating this meal 1.5-2.5 hours before the workout is a good time to consume it but this will also vary based on your metabolic rate and your current activity level. Prioritize the pre-workout meal and your body will reward you with consistently great performances, more muscle, and less body fat. Now, who does not want that? Hi, Fitman, what proteins would you recommend for vegans and vegans who don’t like peanut butter? Although I am not an expert on vegan nutrition, a few sources of protein that you could consume would be lentils, tofu, beans, or even quinoa.